Sold as a Set of 2 - One with the word "Big" hand stamped on the 12 mm silver plated disk and the other with the word "Lil" hand stamped. Each bracelet is then tied to a colored cord of your choice and accent beads are added. 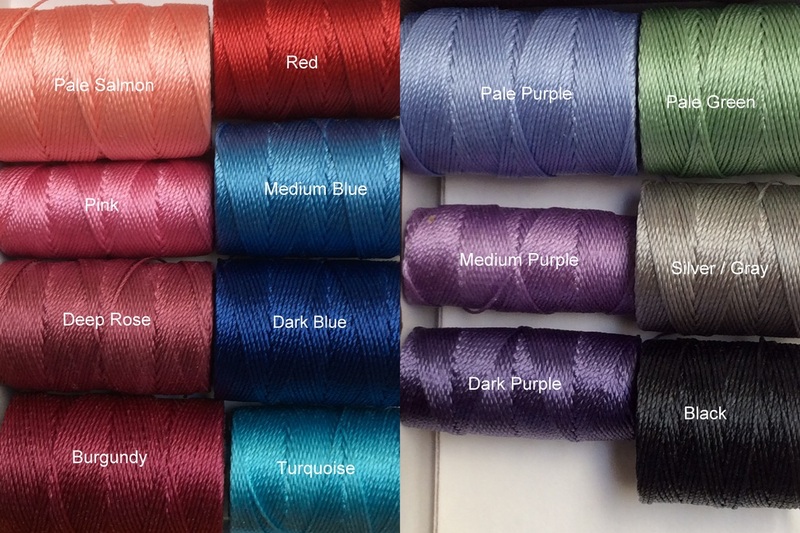 See below for the current selection of available cord colors. If your National or Chapter color is not represented I would be happy to order in the appropriate color. This will add time to your order. These cards easily fit inside a greeting card and make a wonderful little gift for your Big or Little Sorority (or Actual) sister. They tie on like friendship bracelets. Tie several knots to secure them on your wrist and then cut of the ends to your desired length. These Bracelets are not meant to be permanent. They will eventually wear through. It could be weeks or months. They can be worn in the water. Would you like custom created University pieces for yourself, your College children or to give as gifts to loved ones and friends? Great little gift for graduating seniors. 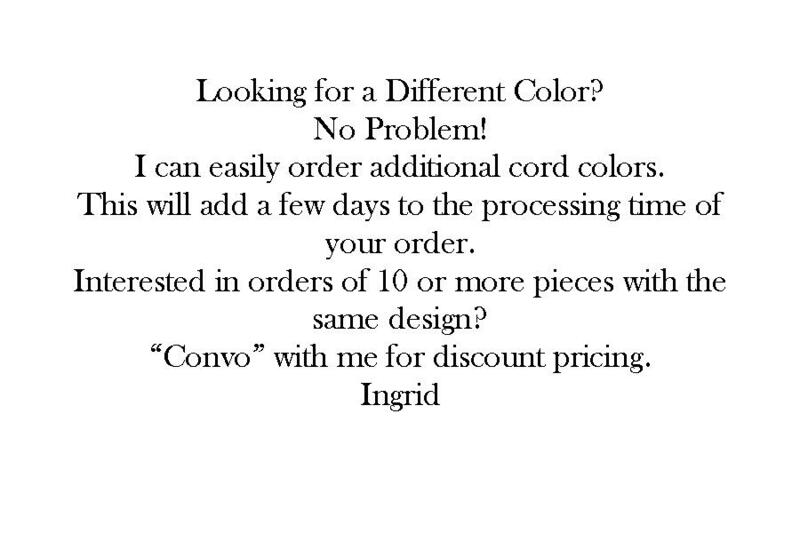 Contact me and we can work together to create just what you are looking for at an affordable price.